Insects were one of the first groups to recover from the great Permian mass extinction and show more diversity in the Triassic. One of their early advantages was that some of them had mastered flight and were able to escape from predators, something no other group succeeded in doing for millions of years. From then until today, insects have been increasing in variety and have remained largely unaffected by other global extinctions. The appearance of flowering plants in Cretaceous further stimulated insect evolution as the plants used insects for pollination. They belong to the order Hemiptera, which means half wing and refers to the fact that the front part of the forewing is toughened, while the remaining parts are membranous. 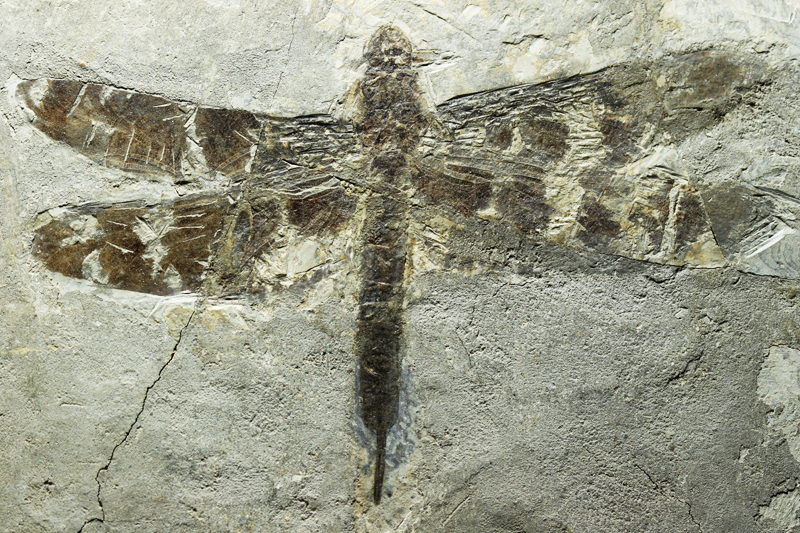 Dragonflies that existed during the Paleozoic and Mesozoic Era were larger in size than those that exist today.